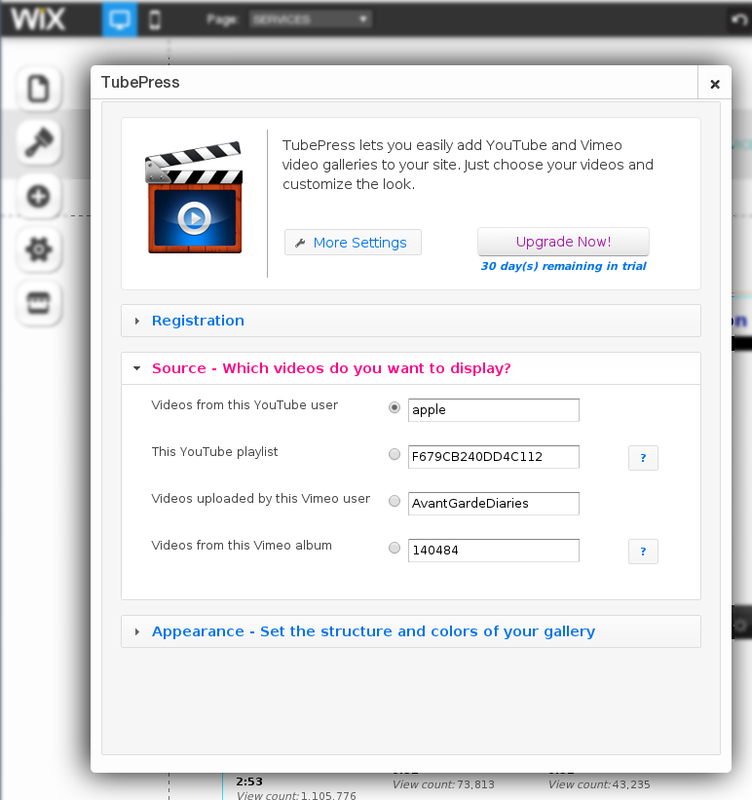 Configuring TubePress in Wix is easy. 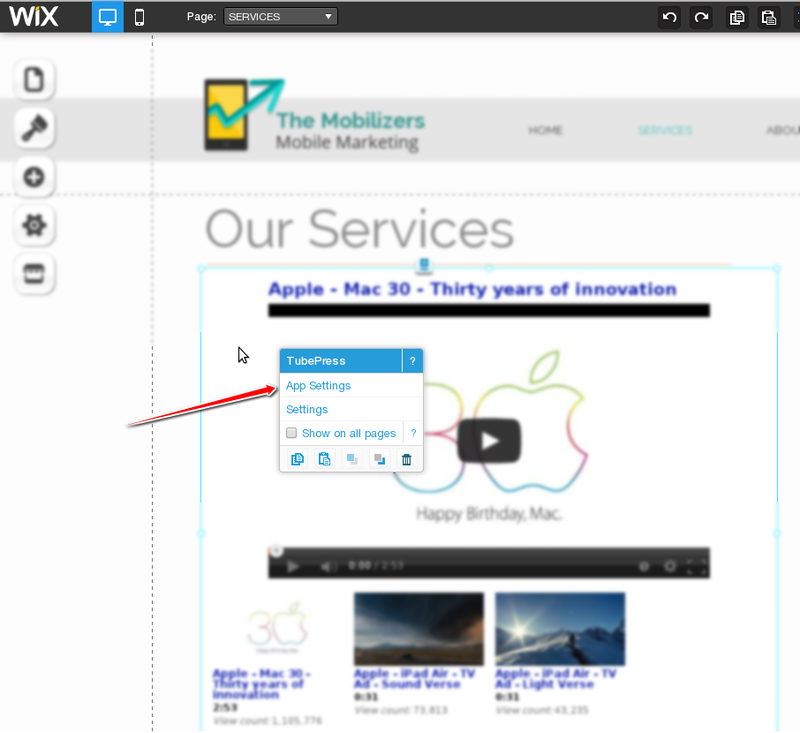 Configuring TubePress in Wix takes just a few steps. Click on the TubePress instance that you'd like to configure. You'll see a popup menu. Click the link for "App Settings". A small window will popup which contains some basic settings for TubePress. Feel free to click around and change some of the options. Your changes will be reflected "live" so that you can see the result immediately. A new window will open which contains all of the TubePress settings. Feel free change any setting you like, and click the "Save" button once you're done.